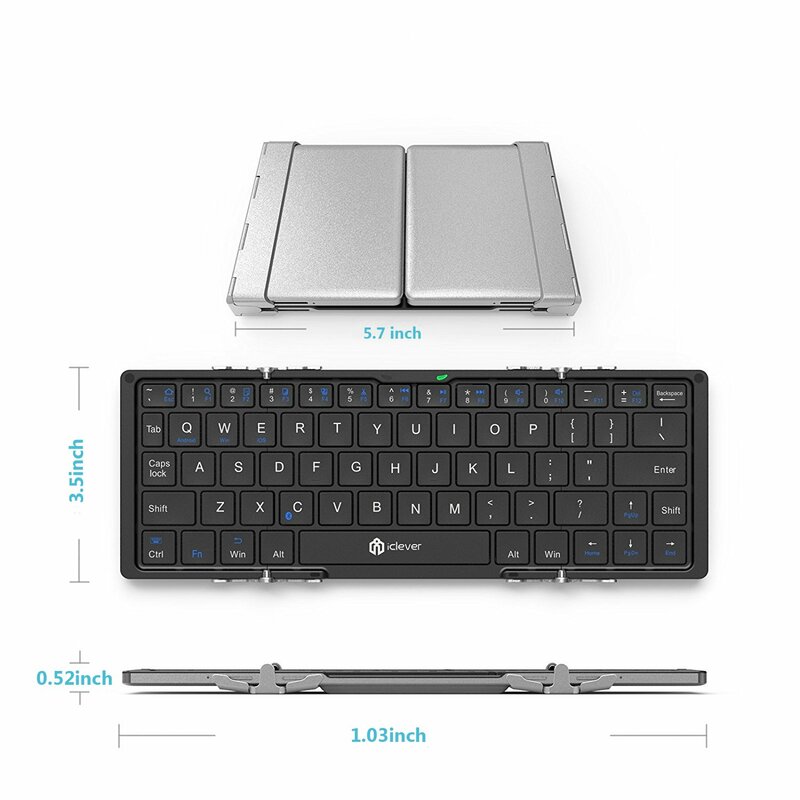 This ultra slim tri-folding Bluetooth keyboard lets users enjoy creating and communicating across multiple platforms on Bluetooth enabled devices wirelessly. 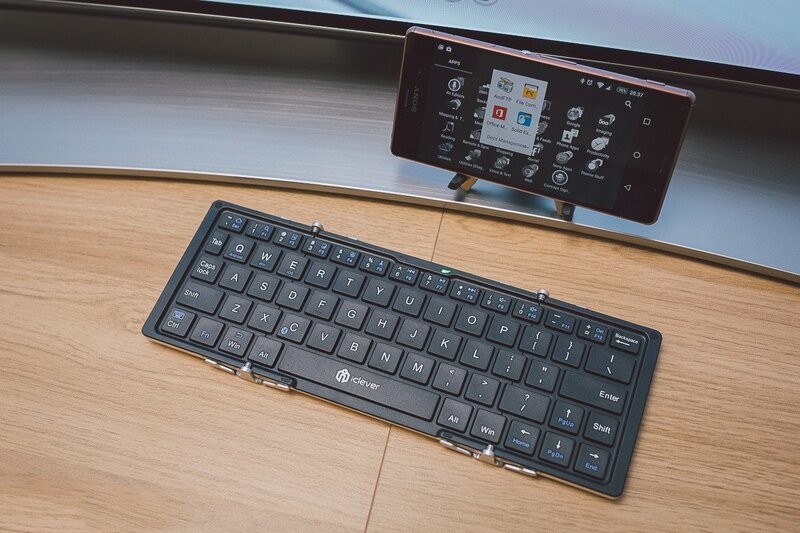 With a compact and portable design, this wireless bluetooth keyboard makes the perfect keyboard for travel. 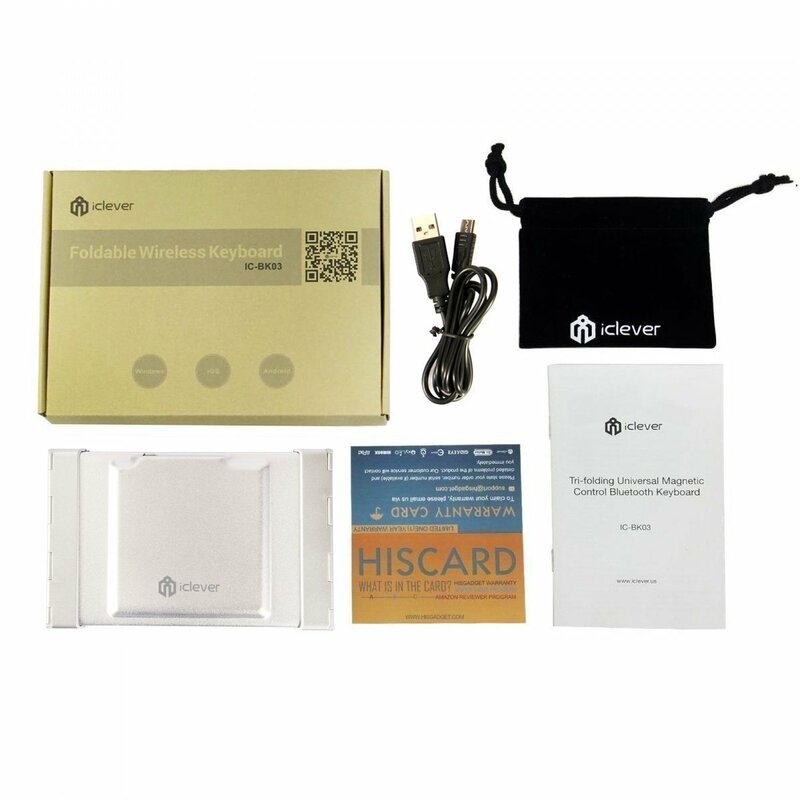 Works well with all Bluetooth enabled devices with IOS (iPhone 7,7 Plus 6S, 6S Plus, iPad Pro), Android or Windows system. To pair the device, simply press the Fn + C keys. • Operating range of up to 10 meters. 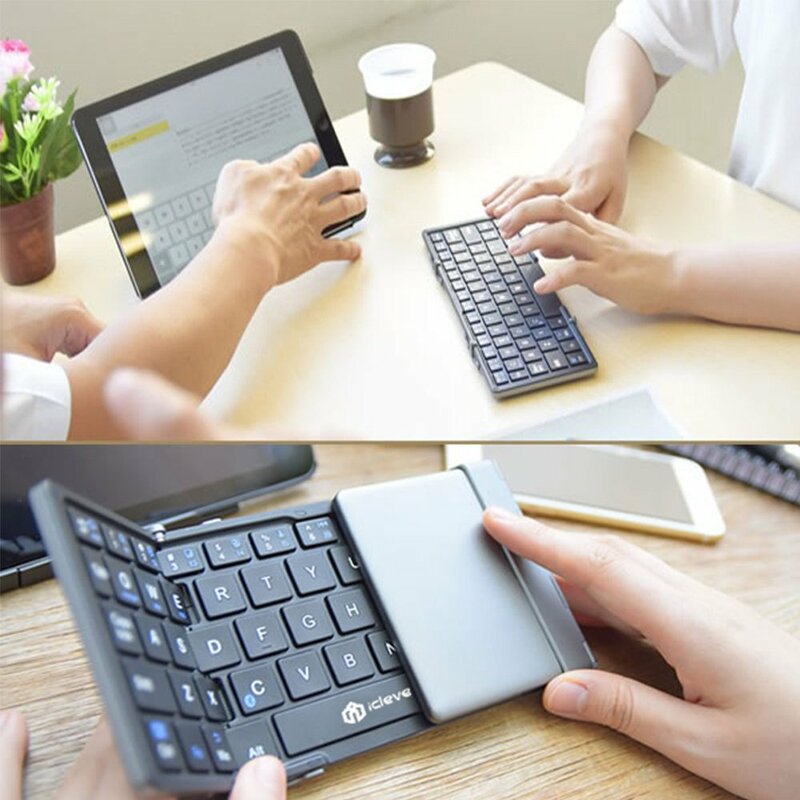 • Convenient and lightweight (0.39lbs) pocket sized, tri-folding bluetooth keyboard, perfect for travel. • The whisper-quiet keys allow you to work anywhere. • Made with aircraft-grade aluminum for superior durability. • Anodized matte process creates excellent sense of touch. • It is not compatible with Nokia phones or Windows 8 operating systems. • After connecting with the device, you must press Fn + OS key(Q for Android, W for Windows, E for IOS) to select operating system. • In order to activate the blue keys on the keyboard, you must hold down the Fn key and the color key simultaneously. • Fold it to power off the keyboard to conserve energy if it is not in use. Do not use out of the operating range.